A new 90-second trailer for Breaking Dawn Part 2 premiered during the MTV Video Music Awards recently. You can see it here. MTV also has an interview with the movie's director, Bill Condon, here. This month will conclude my series on this year's RITA finalists in the Young Adult category. Last but not least is Lara Chapman's Flawless. 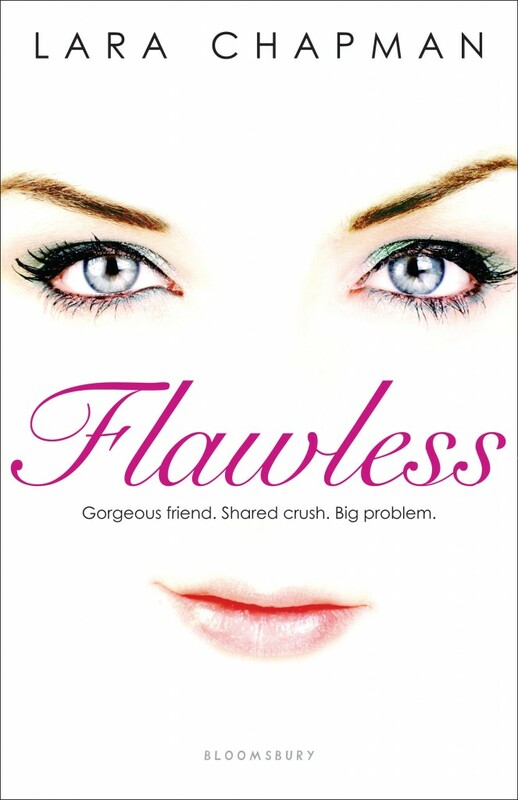 In Flawless, Chapman shows us that almost everyone thinks they have flaws in their looks. Sarah Burke is a beautiful girl, all except for her nose. Even with a nose that stands out in the wrong way, Sarah's pretty happy and constantly balks at her mother's urging that she have plastic surgery. This is actually a nice twist to how you might expect this story to unfold since in these types of situations a heroine with a physical flaw often constantly thinks about how to fix it. After all, Sarah has a lot going for her -- her looks (other than the nose), her grades, a great best friend in the beautiful Kristen. But her world is rocked when new, gorgeous boy Rock Conway walks into her classroom. But then her devotion to Kristen is tested when her best friend asks for help in wooing Rock. Instead of telling Kristen how she feels about Rock, Sarah agrees to help her land Rock, no matter how much it breaks her heart. As time passes and Sarah increasingly realizes she has more in common with Rock that Kristen does, it becomes harder to stick to the plan. Sounds like FLAWLESS will be an interesting novel to read!! FLAWLESS sounds like one I'd enjoy. Thanks for bringing it to our attention, Trish! I've never cared for my nose so maybe it's something I should read lol. Thanks for the review. FLAWLESS looks like a book to add to my YA reading list.